Confronting criminal charges of any seriousness can be mind-boggling. If you’re facing charges, our attorneys can fight for your rights so you can get your life back under control. The committed lawyers of Michael A. Gottlieb, P.A. Broward Criminal Lawyers have over 50 years of combined experience, offering customers new and inventive answers for their legal issues. When your loved ones are cross-examined or charged with a crime, you need a lawyer that is knowledgeable in Broward Criminal Law. A Broward County criminal lawyer will provide the assistance you need to fight back. Attorney Michael A. Gottlieb, P.A. could be the difference between years in jail and your freedom. We know what it takes to get the job done! Michael A. Gottlieb, P.A. Law is the leading criminal defense law firm in Broward. Our criminal defense lawyers have the learning, training, devotion, and experience expected to guard your criminal case. We have no problem taking genuine cases to court, because we savor the chance to mount an aggressive defense for you. We concentrate solely on criminal defense, guaranteeing that we’re progressive with the most current statutes and lawful points of reference. We are working in a particular zone of law: white collar criminal law and criminal law, thus, you’re ensured to work with a criminal defense lawyer who is enthusiastic regarding your rights. When looking for guidance you need an experienced attorney who practices criminal law. Contact Michael A. Gottlieb, P.A. Broward Criminal Lawyer. On the off chance you do nothing, it might be past the point of no return and your destiny may be in the hands of government lawyers. 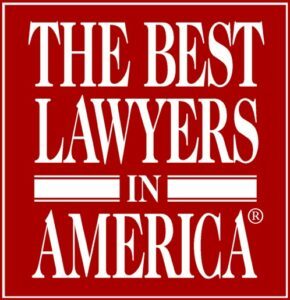 Our reputation for being hard-hitting Florida DUI lawyers & Florida drug unlawful acts lawyers, white collar criminal defense lawyers, has made us Fort Lauderdale’s leading defense team. When you are confronting genuine criminal charges you require the representation of a legal advisor who has attempted criminal cases and comprehends Florida laws and federal laws, the representation of a proficient, gifted, experienced and aggressive Broward County criminal defense lawyer will increase your chance of succeeding in court. We are here to help you fight your charges. Call our office today to schedule a completely no-risk, free case evaluation. 954 462-1005.